This week I thought I would write Part 1 of a 2 parter about 'Whats inside the Disneyland castles'. Growing up, I always wondered what was actually inside the castles. Did people actually live in there? Were there princesses or dragons inside? As you can see from my post, the Disney castles do differ quite a lot in what is found inside and how interactive the castle is. At night time, the night shows are often displayed on the castle itself (see my Hong Kong Disneyland video below). 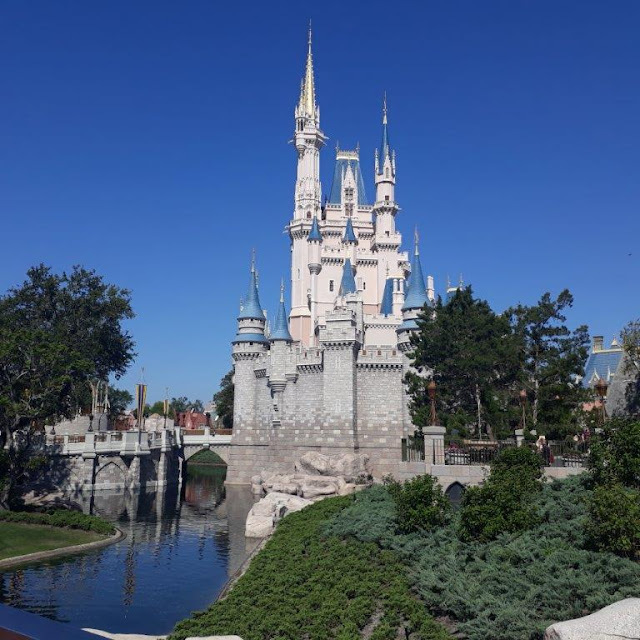 Below is a brief description of each castle and what is actually in it, to be continued next week with Disneyland Anaheim, Disneyland Paris, Magic Kingdom and Shanghai Disneyland castles. Tokyo Disneyland was the first Disney park to be built outside of the United States, and it opened on 15 April 1983 as Cinderella Castle. The castle itself is 51 metres high and it is quite an elaborate walk through experience inside the castle. You enter a ground floor elevator that takes you to the top of the castle where there are displays to look at, including the 'official' glass slipper. there are also areas to try on the magical glass slipper and a throne room to be King/Queen of Tokyo Disneyland, for about 5 seconds, before its someone elses turn to be King or Queen. This throne room was enormous fun, especially for people watching as people were trying to squash their foot into the glass slipper - from toddlers, to adults. The views from the top of the castle too were outstanding. The fireworks and light show is displayed on the Hong Kong Disneyland castle. Which Castle would you like to visit next? Next week I will look at whats inside Anaheim Disneyland, EuroDisney, Shanghai and Magic Kingdom Castles.